Notes: Published/edited by Jerry Bails. 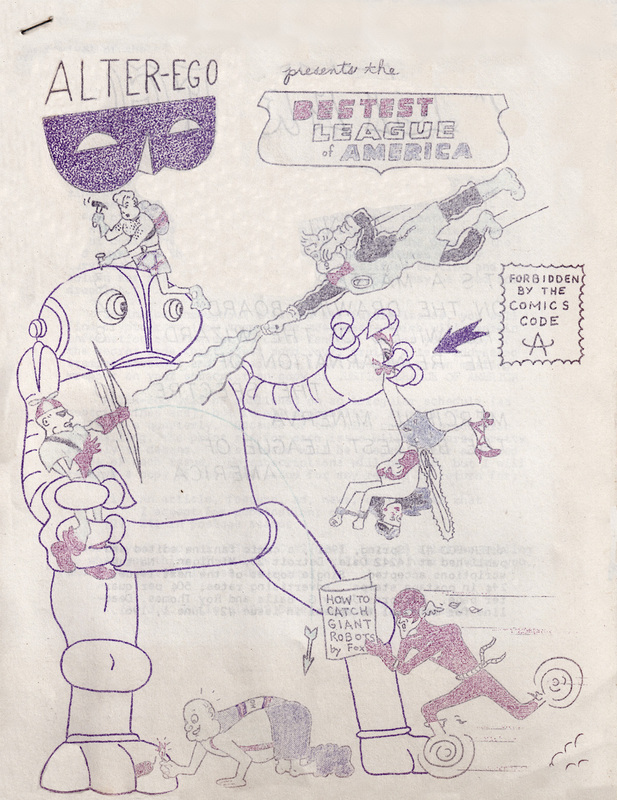 Historically important fanzine, reportedly one of the first fanzines with an exclusive focus on comic books. Contains "Bestest League of America Part 1" strip by Roy Thomas, first installment of "On the Drawing Board" (which would become a separate fanzine and ultimately transform itself into the long running The Comic Reader), "Reincarnation of the Spectre" by Roy Thomas, "Wiles of the Wizard" and "Mercival Minerva" articles by Jerry Bails, cover by Thomas. Top corner stapled, printed in ditto (spirit duplicator). 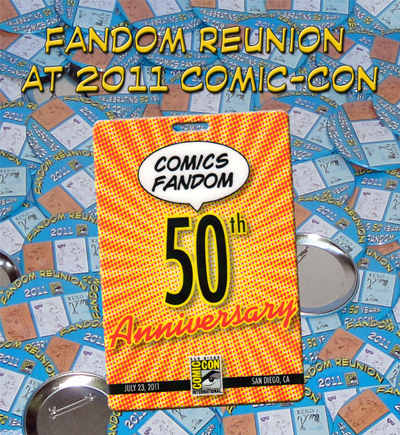 Return to Comic-Con 2011 Fandom Reunion by clicking HERE or on the image below!